Bart H. Chepenik, Esq., Senior Managing Partner and founding member of Chepenik Trushin LLP, heads the firm’s estate planning, probate administration, trust administration, guardianship administration and corporate transactional practice. As such, Mr. Chepenik focuses his practice on representing individuals, families and businesses in estate planning, business succession planning, wealth preservation, asset protection planning, charitable giving, probate administration, trust administration, guardianship administration, and corporate law. Mr. Chepenik received a B.A. in English from the University of Florida in 1990, a J.D. from Nova Southeastern University in 1994, and an LL.M. in Taxation from the University of Miami School of Law in 1995. He is admitted to practice in both Florida and the United States Tax Court. 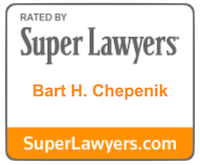 As a result of his hard work and client-centered approach, Mr. Chepenik has been recognized for his legal work in South Florida many times. He currently has an AV Preeminent Rating by Martindale-Hubbell, and was named “Legal Elite” 2010 by Florida Trend Magazine and a “Top Lawyer” in the 2014 and 2015 edition of The South Florida Legal Guide. In addition to his legal advocacy, Mr. Chepenik has been involved in the Miami community for many years as well. 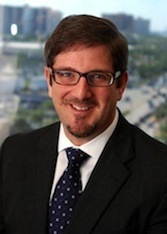 He is a member of The Florida Bar’s Tax and Real Property, Probate, and Trust Law Sections, a member of Mount Sinai’s Planned Giving Committee, Anti-Defamation League Chair of the Glass Leadership Institute, and Board of Governors member and Chairman of the Law Council for the Miami Beach Chamber of Commerce. He currently resides in Miami Beach with his wife and three daughters. 2019 Florida Super Lawyers for Estate Planning and Probate Administration. 2018 Florida Super Lawyers for Estate Planning and Probate Administration law. Probate administration, probate litigation, trust litigation and guardianship, an explanation for Real Estate professionals, Miami Beach Chamber of Commerce Real Estate Luncheon, September 21, 2018, Miami Beach, FL. The Squeeze Play. The impact of probate administration, probate litigation, guardianship, lack of testamentary capacity and undue influence in the Professional Guardian, Geriatric Care Manager and Senior Care professions. The interfacing between judges, guardians and lawyers. Broward County Guardianship Association. June 22, 2018. John Knox Village Retirement Community, Pompano Beach, FL. Probate law, probate court, probate litigation, trust litigation and guardianship laws, what does it all mean to Realtors? Coldwell Banker Professional Realtor, Miami Beach / South Florida Regional Division, June 13, 2018, Miami Beach, FL. Practical approaches to incapacity planning; financial advisor-client privilege, attorney-client privilege, incapacity standard, trustee selection and use of trust protectors. Financial Planners Association - FPA Miami chapter, January 23, 2019, University of Miami, Coral Gables, FL.